The fourth largest island in The Islands of The Bahamas, Grand Bahama Island is one of the most popular for families looking to get away and those who love the outdoors. Located less than 60 miles east of Florida, this vacation destination is full of natural beauty and charm. Visitors will enjoy miles of beautiful white-sand beaches with year-round tropical weather. In the main town of Freeport, tourists can experience Bahamian city life at the Lucayan Marketplace, tax-free shopping and an array of local dining options featuring delicious fresh fish. Travelers will also appreciate the peacefulness of the Island, with its miles of natural forestry that enclose limitless stretches of secluded and pristine, powdery sand beaches. Grand Bahama Island offers the perfect mix of adventure and relaxation for everyone in the family. The crystal-clear water is a playground for water sports of all kinds, from kayaking and scuba diving to boating, fishing and parasailing. Nature lovers will relish in the variety of wildlife that makes the island an extraordinary wonder. The Bahamas Ministry of Tourism has a free program that lets you experience Bahamian culture and cuisine as well as learn more about their history and develop long-lasting friendships with one of the many Bahamian ambassadors. Bahamians love meeting new people and making friends. When you join the complimentary "People-To-People Experience," you’ll be paired with a Bahamian ambassador who will show you their culture and way of life. Ask JA TRAVEL how to experience this program and who to contact. This experience has proven to create lasting friendships and a deeper knowledge of the island, culture, music, politics, history and so much more through firsthand interaction with the people that make the Bahamas so great. Junkanoo Parade – Jan. 1-2, 2018 – 6p.m. – 12a.m. Junkanoo is the National Festival of the Bahamas. Junkanoo originated during the days of slavery when the slaves were given time off to celebrate the holidays with African dance, music and costume. A parade is held at Town Centre on Pioneers Way. The Ministry of Tourism’s annual summer festival features live displays of Bahamian culture in the form of food & music. Thursdays in July at Taino Beach. 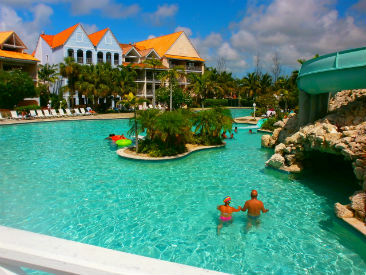 Viva Wyndham Fortuna Beach is a sanctuary in island paradise. Each of the 274 guestrooms outfitted with island-style wicker furniture and marble floors feature a private balcony or terrace with unforgettable views, creating the perfect spot to unwind after an action-packed day. Located on a secluded beach in beautiful Freeport, Bahamas, Viva Wyndham Fortuna Beach is a relaxing island destination for those who desire endless fun in the sun and sand. 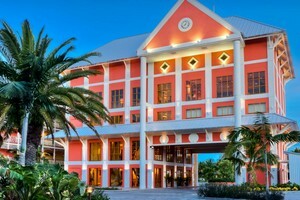 Comprised of 225 clean and comfortable guest rooms to make your stay on Grand Bahama Island enjoyable while giving you a Bell Channel view of the deep blues of the ocean and the Marina. 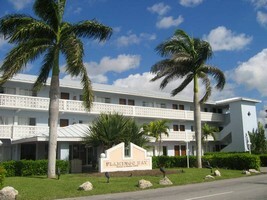 This hotel is conveniently located 200 yards from the beach, just minutes from downtown Freeport by water taxi. 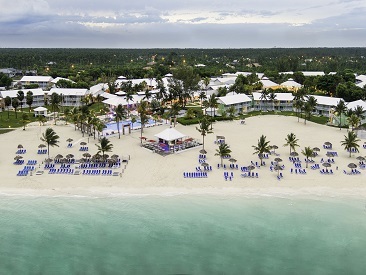 The Marlin at Taino Beach is a family friendly hotel located on a stunning private beach in Grand Bahama Island. This hotel offers activities for the whole family including waterfalls, caves, beach volleyball, shuffleboard and so much more!